Hello lovely readers! I hope you all are doing well! Just needed something polka dots to celebrate Chinese New Year (though I'm not Chinese, lol). 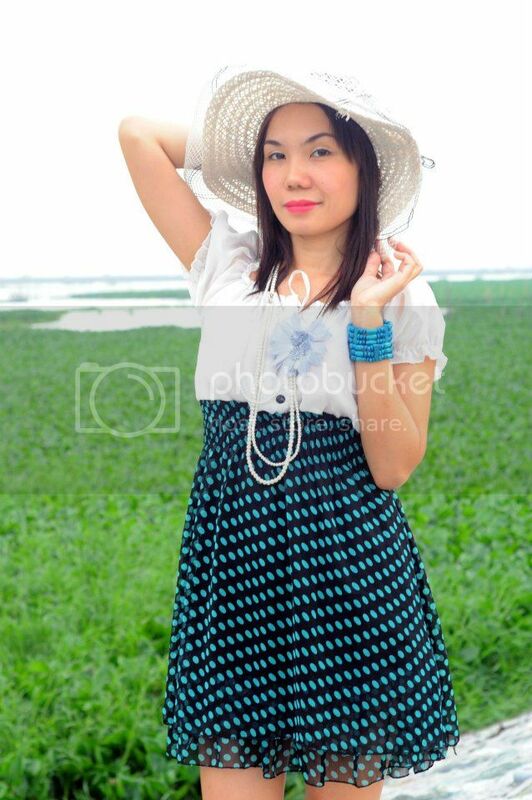 Take a look at how the polka dot dress builds a gorgeous connection with the polka dot shoes and blue bracelets, and the off-white hat and that cute pearly flower necklace. Hmmm... I don't know what to say about the dress, it's perfect, so girly; the chiffon silk fabric and the color as well as how it falls and moves gently. It's from Hip Candy. Have I told you about my new sponsor Hip Candy? Just click on my photo with "Hip Candy" print, in the left side bar of my blog. Their items are too die for. Some of their items will definitely be featuring in my wardrobe over the next few months! Aren't my polka dot shoes cute? These are what I've been lusting for months and now, I ended up with the perfect pair of polka dot pumps. such a lovely dress!! those shoes are perfect and as usual you're radiant!! You're right, the girl is so girly and pretty! I'm in love with your shoes!!! Love your skirt and shoes!!! They are gorgeous! The skirt is way too cute!! did you buy your shoes online? Great photos! I LOVE your shoes!! Thank you for your comment!! i love love love the shoes! i'm a new follower! These are fabulous photos; you look amazing!!! 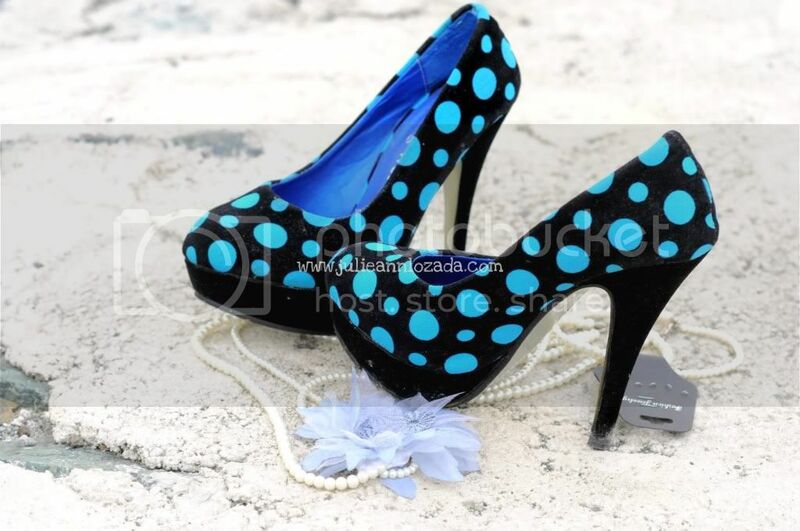 I LOVE the polka dot heels!!!!! Looking really lovely there girl ! ^^ Nice outfit. Nag match talaga yung shoes sa pretty dress mo! Love it! I love your skirt and your shoes!!! Beautiful!! love the bright blue of the polkadots! your shoes are soo cute!! my eyes were connecting the dots!:)cutesy! It's totally cute! I do love your polka skirt and heels. I've followed your blog anyway, mind to follow me back?